Could you make it big as a trader? A lot of people try. Not many succeed. The most important thing that you need to understand is that trading is not a get-rich-quick scheme, and although a few people get lucky, you can’t rely on luck alone. If you want to succeed, then you’ll have to be prepared to work hard and put in many hours of study and practice. If you think you can do that, then read on. Every successful trader starts out with a plan. This involves being clear about your priorities. Which is most important – making money quickly or making a large amount of money? How much risk can you realistically tolerate? How much money can you afford to lose if things go wrong? In accordance with these, you can develop your trading strategy: what you will do over the long term, what you will do each day or each week, and what your limits are. You can change this slightly as you learn more, but never be tempted to simply ignore it, no matter how good a deal looks. To succeed as a trader, you’ll have to be able to keep up to speed with your competitors. This means that you’ll need a powerful computer with good security software and a reliable internet connection. Many traders keep their mobile phones ready to use as back-up internet hubs in case of problems. Adding a second screen to your machine can be really helpful because you’ll have a lot of charts and other information to keep track of. In order to stay out of trouble and identify great opportunities, it’s vital to do your research. Of course, you can’t research every asset out there from scratch, so this process begins with securing a reliable source of tips and starter information. Hammerstone is a good option, and if you want to try before you buy, then you can sign up here for free. 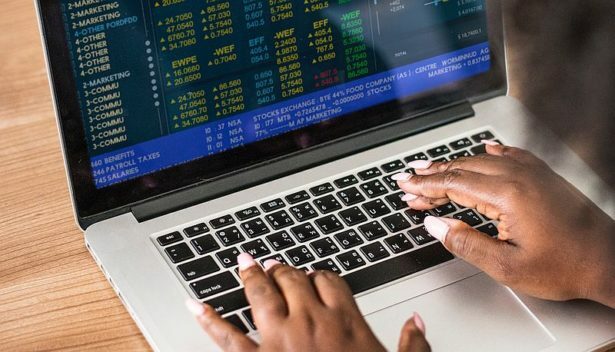 Research like this should also be part of an ongoing process of learning and improving both your general knowledge and your understanding of trading strategy. When you’re ready to go, you’ll need to find the right broker. Different brokers specialize in different asset types, so this will be a factor in your decision, but the most important thing is to avoid the scammers who often prey on inexperienced newcomers. As a rule, if a deal looks too good to be true, then it probably is. Keep your head about you, and look for a well-known broker with a good reputation. Trading is a profession in which you cannot afford to let emotion interfere with logic. This means no getting attached to stocks and clinging to them when you know that they’re a bad bet, and no getting overexcited and rushing to buy when the risk is too high. Keep in control by sticking to your plan and never buying anything that you don’t understand. Over time, you’ll get a better and better grasp of what you’re doing, and even if you don’t make much to begin with, if you keep working hard, then you’ll be en route to success.